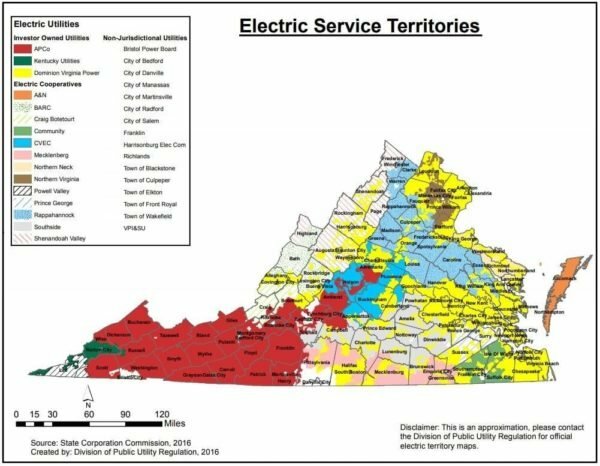 A map of Virginia’s electric service territories. Yellow and red signify Dominion’s and Appalachian Power’s territories, respectively. Late last month, Governor Ralph Northam signed an extensive net metering bill (HB2547/SB1769). Although the bill is part of a compromise between solar advocates and utilities, it marks a significant step forward for solar energy rights in the Commonwealth. The legislation will apply to territories served by Virginia’s 13 rural electric cooperatives, which provide electricity to nearly one in five Virginians. These territories tend to be less densely populated, but cover roughly one-third of the Commonwealth’s geography. The legislation does not apply to customers of Dominion Energy or Appalachian Power, Virginia’s investor-owned utilities. The legislation raises the cap on net-metered solar from 1% to 5% (with further expansion based on each co-op’s board’s approval), it expands power purchase agreements (PPAs) for non-profits in cooperative territories, and increases limits for sizing solar systems on homes from 100% of previous electricity usage to 125% to allow for more electric vehicles, occupancy changes, and beneficial electrification. These three provisions will allow more non-profits and homeowners to go solar and provide market certainty for solar customers of cooperatives that were close to hitting the 1% net metering cap. While the legislation dramatically moves solar forward in electric cooperative territories, the compromise that allowed its passage will create a gradual phase-in of demand charges after five years (in 2024) or when individual cooperatives hit their 5% cap. Existing solar customers will experience no change to their current net metering arrangement. Customers going solar from now until 2024 will also experience no change and will be under the current net metering arrangement without demand charges. While Solar United Neighbors opposes demand charges in the case of residential solar customers, our own analysis and third-party modeling has found that the phased-in approach, while not ideal, will be manageable as it begins in 2024. Further, we will hold the electric cooperatives to their commitment to providing data and helping customers manage the impact of demand charges in the future. The legislation does also include language for a stakeholder process to begin in the coming months to consider time-of-use pricing for investor-owned utilities like Dominion and Appalachian Power. 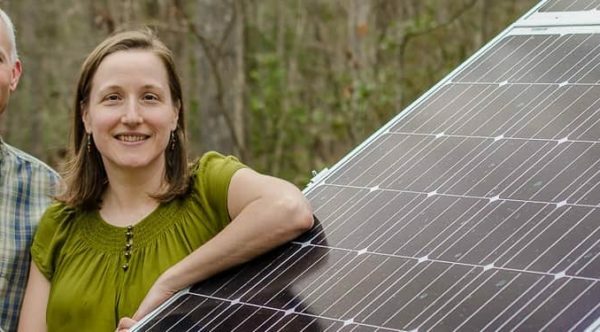 We will represent solar homeowners like you during this process to ensure that solar owners have a fair seat at the table and make sure that Dominion and Appalachian Power do not pull any shenanigans during the process. We believe that, if implemented correctly, time of use (or other variable rate structures) can further incentivize more solar, battery storage, and electric vehicle adoptions—a win-win situation. We will report on the process as it develops, so stay tuned for opportunities to ensure your voice is heard.